As we experience the wettest June in memory, it’s a reminder of how important the rain and the rivers are on Dartmoor. Water has shaped this landscape and continues to do so. 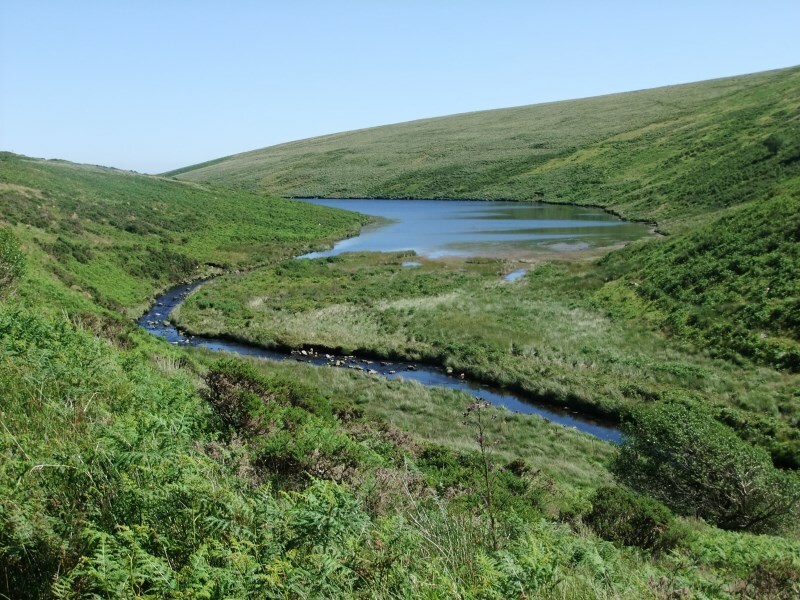 All but three of Devon’s beautiful rivers rise in Dartmoor’s bogs and mires, and even those that don’t are fed much of their water by its streams. Studying the moor can really help one understand the significance of the term “watershed”. 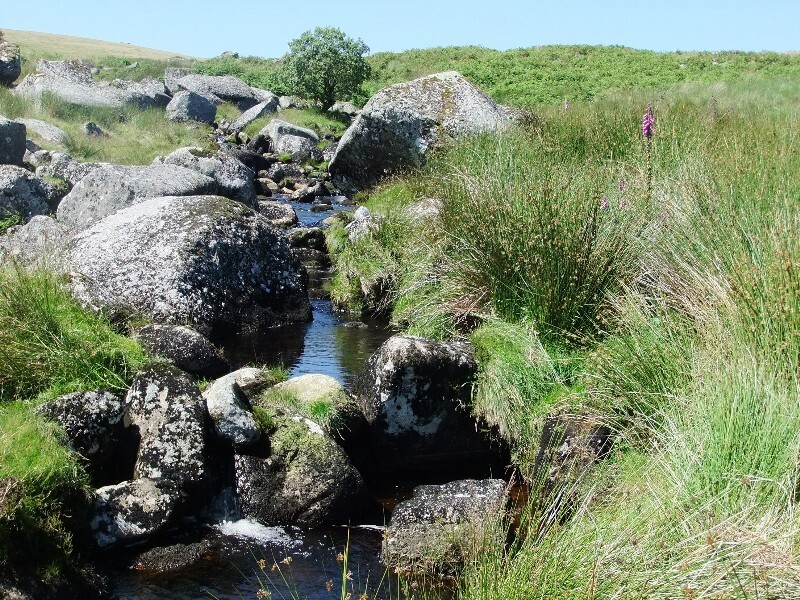 The classic books about Dartmoor don’t have chapters about areas around particular villages or roads – they divide the moor up according to which river or stream runs through it. 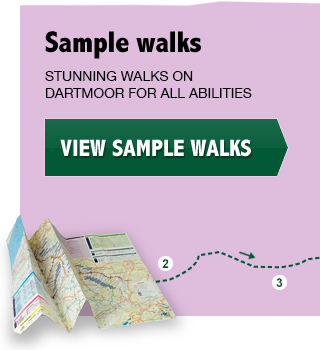 The main rivers of Dartmoor (such as the Dart, Teign, Avon and Plym) start on high Dartmoor in areas of blanket bog. These areas are easy to spot on maps – they’re the parts with virtually no roads or settlements, and very few tors. Their height means they attract plenty of rain (90-120 inches per year) which falls onto fibrous vegetation sitting on top of non-porous granite. 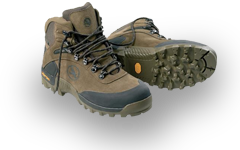 Because the terrain consists of flat or gently concave hilltops, the water saturates the vegetation to create Dartmoor’s infamous bogs. Water trickles constantly off these higher reaches into wide valleys where old tin-workings and granite crosses marking ancient routes of way are found, sitting beneath the characteristic tors. These areas are known as the rivers’ middle reach. Large numbers of Bronze Age settlements existed in these parts, when the climate was drier and milder, making it possible to live and raise animals and crops at these relatively high altitudes. 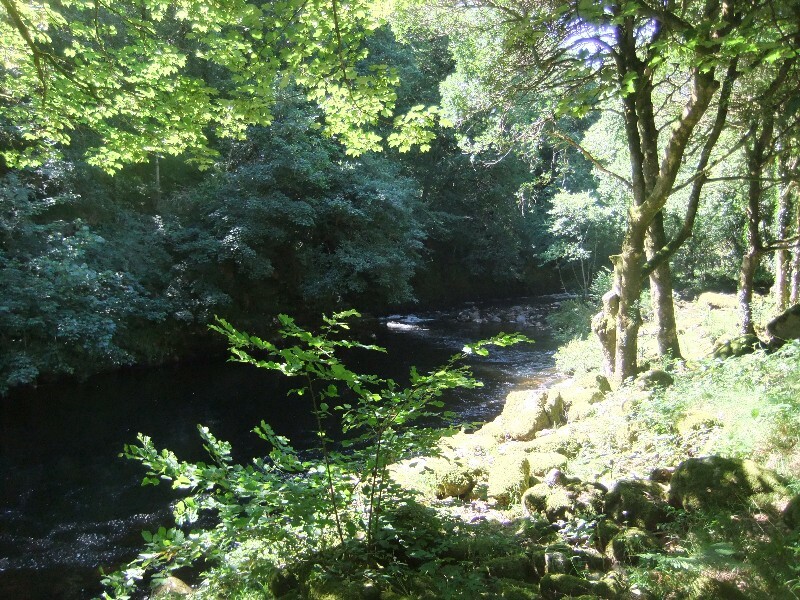 From here, the rivers drop steeply into dramatic gorges which are some of the most well-known features of Dartmoor – Lydford Gorge, Dewerstone, the Dart and Avon valleys. Below these gorges, the rivers enter the gentler, more accessible “border country” where agriculture and villages have existed since Saxon times. As well as the blanket bog high up on the moor, there are also the mires. Fox Tor Mire was made famous in the Hound of the Baskervilles and is rumoured to be deep enough to swallow a pony, but most are an inconvenience rather than a danger. Because they occur in valleys, surrounded by firm ground, with bright green plants growing on top of the swamp, the unwary (who haven’t spotted the little blue symbols on their OS map) could wander into a mire as you would stroll onto a well-kept lawn. The other day, I walked along the rushing West Webburn and admired the spectacular display of marsh orchids on its banks. Trying to make the walk into a circular route, I explored up the side of Corndon Tor and found my way blocked by a classic stretch of bog on the side of the hill. I got around it by balancing precariously on hummocks and boulders and was rewarded by finding the source of all this water: a beautiful spring was gushing out of the ground, with a small hawthorn tree and a standing stone marking the spot. From lower down, with the sun shining on the slope, the whole hillside was glistening and sparkling as the water cascaded down it. I found another route that avoids the need to boulder hop but still takes one right by this lovely little spot – an insignificant blue dot on the map but yet another lovely place to rest and enjoy the magic of Dartmoor.